Nvdia and Walmart are giving out exclusive Fortnite Items. 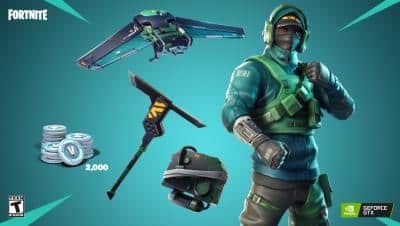 Nvidia’s Fortnite bundle is being labelled the “PC Paradise” offer. PC Fortnite enthusiasts can now rejoice, this bundle guarantees performance and fun! When you purchase any of the Nvidia GeForce GTX 1070 Ti, 1070 or 1060 graphics cards, you get the “counterattack” set. This is available for a limited time only, if you plan to get one make sure its soon. Nvidia has confirmed that it has sold out its Gtx 1070 Ti and in case you still want it you’d have to approach a third party retailer. Nvidia says that, this new series of graphics card give 3x the performance of its older generation. Clearly for all the fortnite lovers, this is an offer you would like to think nice and hard about. A graphics card advertisement with a game on it should ideally guarantee smooth game play for that respective game. Prices vary in different countries and as of now this offer is only valid to the customers of UK and USA. Walmart is teaming up with Fortnite to giveaway gifts to its customers. They posted a preview of how the emote would look like in-game. “Spray emote” collectors are already marking this event in their calendars. 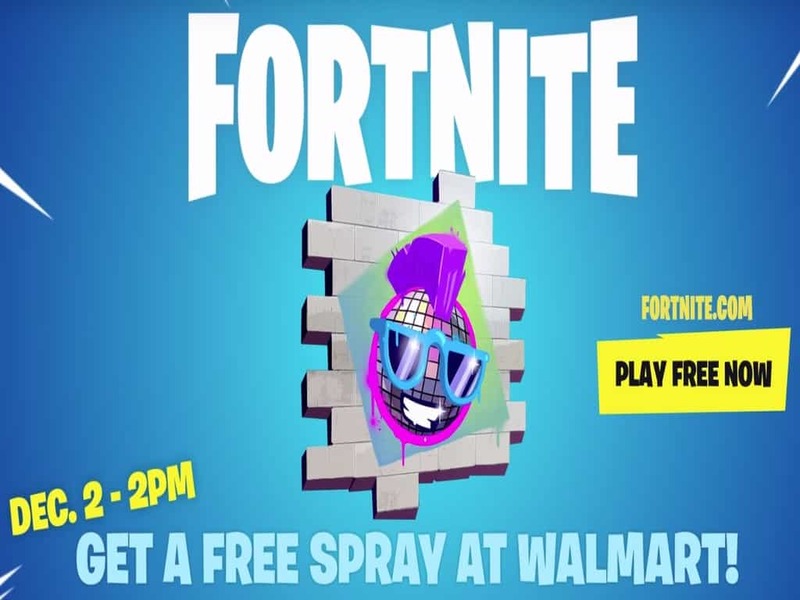 No Fortnite lover in their sane mind would ignore such an event if there’s a Walmart nearby. A battle bus can be found in various Walmart stores and leaflets with the gift code will be passed around to the customers present there this Sunday at 2:00 pm. 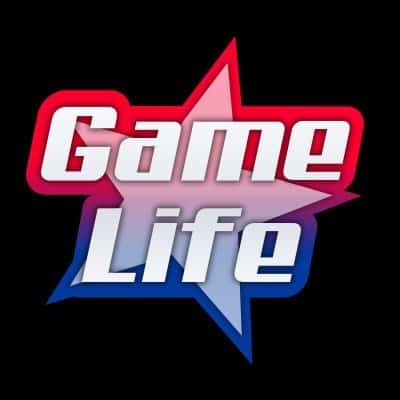 There are only a limited number of codes available, hence get there before they run out of codes. Everyone wants to join the Fortnite party! It’s normal to see tech companies collaborating with video games such as Fortnite. But to see Walmart get into the mix suggests a new form of advertisements from companies of any portfolio. Hence don’t be surprised if you keep seeing various Fortnite bundles with various unrelated products. Everyone is trying to get a bite of that Fortnite cake.